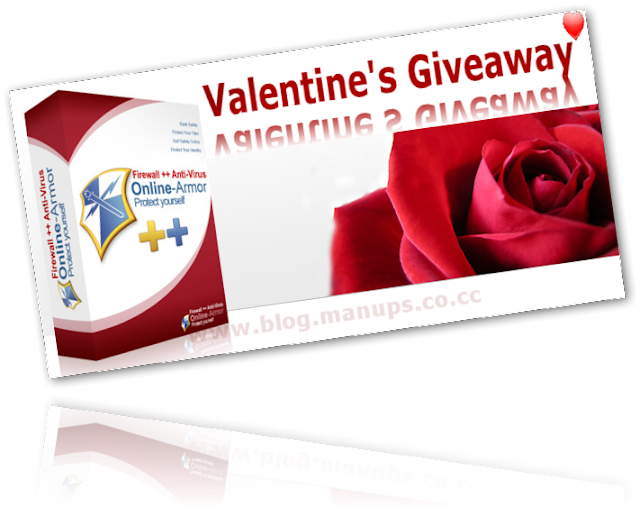 TechBytes has one (1) license of Online Armor ++ full version to giveaway. 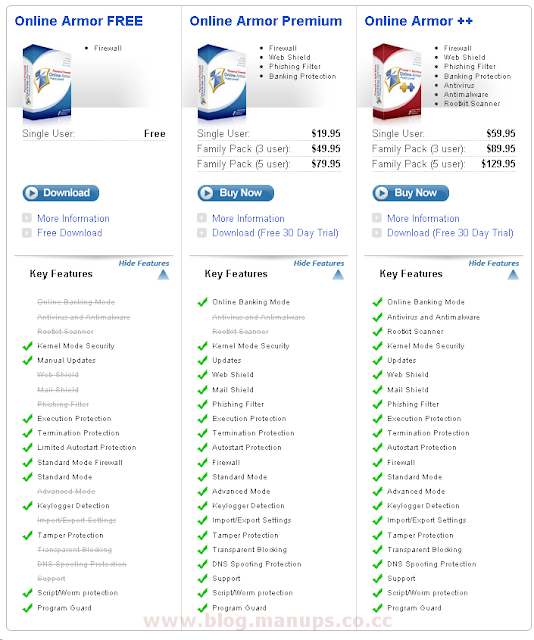 Online Armor++ Antivirus, Firewall and Antimalware, the complete protection. You do not need a computer science degree to use Online Armor. The setup process is straightforward, and configuration is a one-time event and part of the initial installation process. Online Armor's aim is not to annoy you with too many messages and when it does give you a message, there are clear options given on how to respond. Online Armor does not slow down your PC. Online Armor's new personal firewall provides awesome protection from inbound threats and complete control of data leaving your computer for the internet. Never worry about banking online again. Online Armor's Banking mode is a standout feature that locks down your session while you are doing your banking online. Probably the number one threat online; identity theft ruins lives. Online Armor protects you from phishing and keylogging techniques that these criminals use. This allows you to lock down your online browsing sessions and protect yourself from malicious websites installing nasties on your machine. Program Guard gives you control over which programs are allowed to run on your computer. Known safe programs don't harass you with popups, and dangerous programs will give a red warning popup so you can prevent them from running. If spyware gets onto your computer - perhaps because you have accidentally allowed it, Online Armor will allow you to remove it. Unwanted extensions to Internet Explorer can be removed with a mouse-click. Unwanted programs can be blocked via Program Guard, or removed completely. This stops programs from manipulating your Windows settings to misdirect you to fake sites. Similar to the DNS Check, Online Armor checks your HOSTS file and alerts you if anything changes. The hosts file can also be used to make your web browser visit sites other than the one you intended. Allows you to control which programs start automatically with your computer. This can be used to help defeat spyware (it must start sometime) as well as optimize your computer's performance. Malicious programs are getting tougher and tougher and often attack other programs (including security programs) to do their nasty deeds. Online Armor's Program Guard guards not only itself against tampering, but protection other programs from malicious code. Online Armor protects your passwords and private information from being stolen by blocking the keylogger as it tries to activate. Online Armor's behaviour detection ensures that even specially created or new keyloggers are detected and prevented. "Phishing" is the name of a scam which uses fake emails and websites to trick users into disclosing personal information. Online Armor checks inbound mail for tricks used by scammers and, depending on the certainty it will warn you or remove the email. The mail filter works with any email client that supports POP3 or IMAP, including Outlook, Outlook Express, Thunderbird, The Bat!, Incredimail, Eudora and others. Many websites use tricks to install dangerous software on your computer. The type of software can range from the irritating display of popup advertising, through to software designed to steal information or defraud you. 2. Leave a comment (please include your email-id in your comment). All comments must be posted on or before 11.59 PM on February 14,2010 based on comment posted time (GMT+5:30). Participants can post as many comments as he or she likes to increase chance of winning, but each participant is entitled to one prize (license) only. One winner will be selected randomly after the closing date. TechBytes ’s decision is final, and TechBytes reserves all rights to change any terms and conditions without prior notice. THis is the best software I have ever come across, thanks to these pioneers who have created such wonderful software. Thanks for Giveaway. I need this software for personal use.